Three finalists have been chosen in the Detroit Institute of Arts (DIA) and Midtown Detroit, Inc. (MDI) competition to reimagine the campus that connects twelve iconic Detroit cultural institutions. After being narrowed down to eight firms this spring, Agence TER from Paris, France, Mikyoung Kim Design from Boston, and Minneapolis-based TEN x TEN have been unanimously selected by the eight-person jury out of 44 initial submissions, coming from more than ten countries and 22 cities. Each of the firms has secured Detroit-area partners working in diverse roles, from lighting to market strategy. 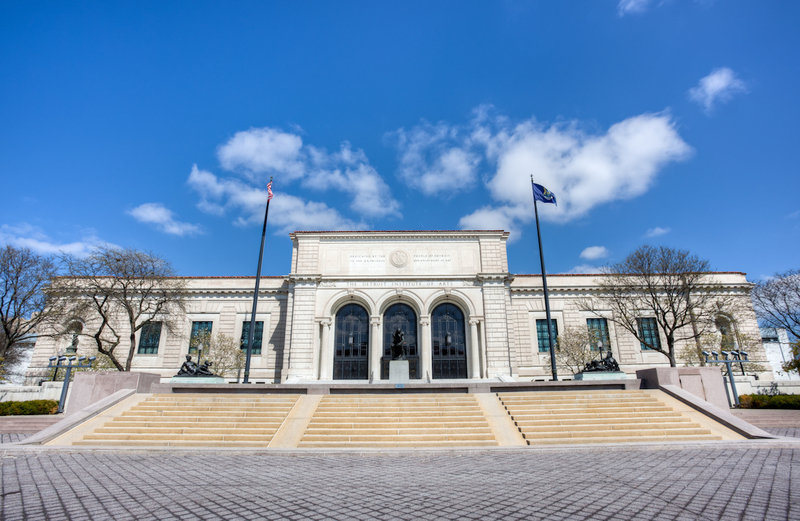 The finalists are charged with studying the site and developing proposals to be presented to the public at the DIA on January 23, 2019, with a concurrent exhibition running until April 2. The winning team is expected to be announced in March 2019. “This is a once-in-a-lifetime opportunity to reshape how our arts and cultural district operates, and we hope that the public will take advantage of the many planned opportunities to provide feedback on what they would like to see and experience,” said Susan Mosey, Executive Director of Midtown Detroit, Inc.
With the DIA and MDI looking to redevelop the area that connects the likes of the Charles H. Wright Museum of African American History, the Center for Creative Studies, the Scarab Club and, of course, the DIA, the competition looks to attract local and international visitors to these iconic Detroit institutions with a more accessible and user-friendly campus that has the flexibility to support events and public art.